It’s three months since I launched Ferdinand Fox’s Big Sleep interactive storybook app for iPad and I still feel somewhat of an intruder into a world that I don’t quite know enough about. 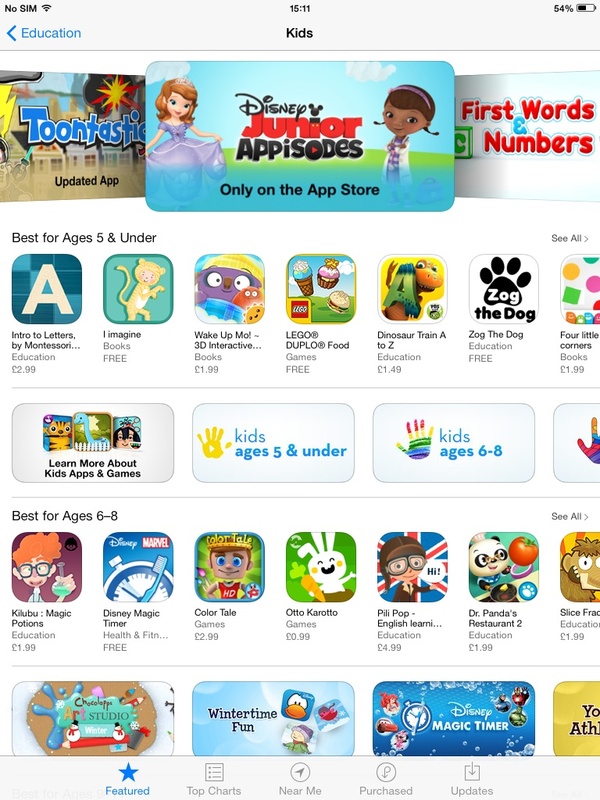 However I thought I’d share here my initial marketing experiences and my thoughts on the App Store Kids’ Category. As I mentioned in my earlier post Creating a Children’s Book App, Ferdinand Fox’s Big Sleep had over 1,500 downloads when I set it at free during its two-week launch period in mid October. Since going to paid (at £1.49/$1.99) and at the time of writing it averages 12 downloads a week with mini spikes on odd days. I have no idea whether this is terrible, or simply average for an independently produced children’s book app as I’m not aware of app developers openly sharing stats – however I can hardly claim that the volume downloads are great! 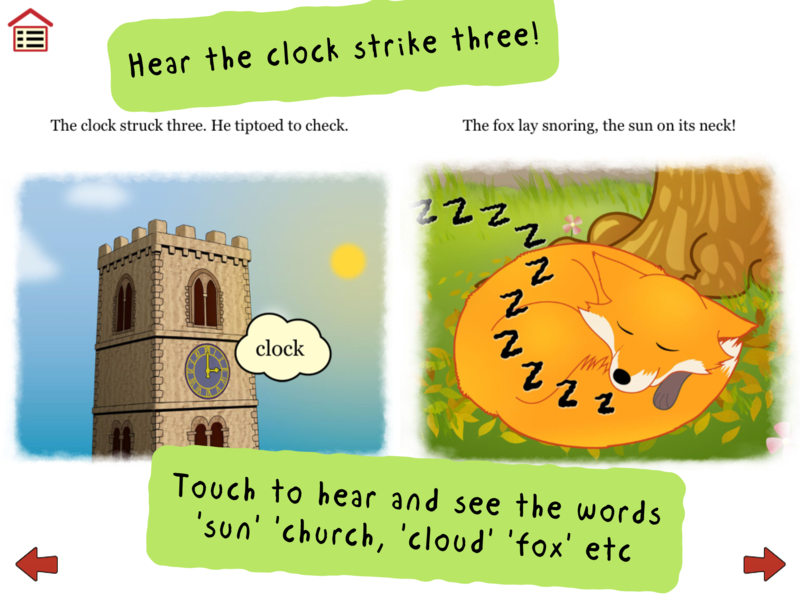 Nevertheless I’m pleased at the consistency of downloads – and at the very favourable feedback the app has received for being both educational and fun, and an app that parents can explore together with little ones in the way they might a print picture book. At the time of writing it has garnered 18 customer reviews between the US, UK, Australia and Croatia (most 5-Star) as well as fantastic feedback from educational app review sites. You can download it onto your iPad or take a closer look here. If you’ve young children I can promise that you won’t be disappointed. As well as contacting the sites above I’ve also submitted Ferdinand for ‘free’ reviews to many more – including the highly respected SmartApps4Kids, whose $125 fee I unfortunately couldn’t stretch to. I’ll certainly report back on how long it took for a free review to materialise if ever one does! Ferdinand Fox’s Big Sleep has recently been accepted into the Moms With Apps program, which aims to help parents pick out quality apps that are safe and suitable for children to use alone – ie no advertising, no hidden surprises and no data collection. I’ll shortly be adding the Moms With Apps logo to my website and other marketing material. Ok – so I am now confident about my app’s quality and suitability for its target market of kids age 2-5 years but what about discoverability in the App Store? Well, therein lies a challenge – and one that ironically is made more difficult by the double-edged sword that is the relatively new App Store’s Kid’s Category. I was delighted to discover that my app would be coming out just after the launch of the App Store’s Kids’ Category last September. This was music to my ears as I’d already discovered how confusing it was to navigate the App Store looking for kids’ apps – and book apps in particular. I am pretty web savvy and so I knew that if I was having trouble finding my way around, then other parents most likely would too. First, within each main browsing category (books, games, education and so on) the App Store mixes together apps for different target audiences – so in the ‘Books’ app section, for example, you’ll find kids’ books as well as adult reference book apps and so on. Second – to add to the confusion the App Store ‘Books’ category includes not just books (as in book apps) for all age groups including adults but also apps for reading books (such as the Kindle or Kobo reading app). Third it’s not that easy to spot where to browse for book apps. This category isn’t featured as a collection on the App Store home page – rather is only found under a drop-down menu. This is clearly all very complicated and messy for busy parents to fathom, so the idea of a dedicated Kids’ Apps Category where my app could live really was timely and most welcome. This was all excellent and sensible news as far as I was concerned and happily Ferdinand Fox’s Big Sleep passes muster on all counts so at upload was accepted and tagged in the App Store as ‘Made for Ages 0-5’ and therefore qualifies for the Kids’ Category. So why can’t you find Ferdinand Fox in the Kids’ Category? The bad news, however, is that Ferdinand Fox’s Big Sleep app – like many other qualifying Kids’ Category apps – is not listed there because it turns out that this area only includes a small number of apps chosen by their editors. As I write there are just 18 iPad apps included in the Kids’ Category section ‘Made for ages 5 and under’ in the UK App Store. Clearly Ferdinand has no hope of being discovered by parents or children browsing there! Now, whilst I fully support the idea of content curation and Editors’ Picks it seems pretty clear to me that now the Kids’ Category exists and is promoted on the App Store home page most parents and children will gravitate there direct, unaware that they can find equally suitable and safe kids’ apps outside that category too. This feels a bit like Amazon only including selected children’s books within the browsable Children’s Book section of their site! I have asked Apple for clarification on Kids’ Category inclusion – and on whether they are planning to expand it – but they are unable to tell me anything beyond stating that inclusion there is up to their editorial team. Second, until an all-inclusive Kids’ Category can be established, make it clearer through signposting that the present Kids’ Category only offers a small percentage of all available ‘safe’ and ad-free children’s apps. While there is an information section about curation of the Kids’ Category, the reality of how we behave online is that this is unlikely to be read by most parents. For those who do take the time to read the small print here, it is very easy to interpret that the Kids’ Category is the only place you will find apps that meet their additional rules. Third, until such time as the above points can be addressed (I hope they can – but I appreciate this will take time) give developers more information about the basis on which Kids’ Category selections are made. I presume there must be a defining list of attributes for each sub-category (books, games, education etc), which editors are looking for as a minimum – and it would be helpful to know what these are to increase the chances of selection. Clearly any such attributes would stay true for ‘Editors’ Picks’ within an all-inclusive version of the Kids’ Category, so communicating this information would have long-term use, and may indeed drive up standards. In short, more open communication with both parents and developers would be very welcome. Without it the present Kids’ Category appears to offers a self-fulfilling prophecy for apps that are selected, while there seems no way for potentially deserving apps to rise to the surface in the rankings on their own merit through exposure in that area. I’d love to hear feedback from Apple on this! So would, I am sure, many of the developers with existing apps who went to the trouble of re-releasing them in order to comply with the new Kids’ Category rules and find themselves in the same situation. Where would that leave non-qualifying Kids’ Category apps? I’d be inclined to stick my neck out here and say that I don’t see any circumstance in which apps aimed at young children should ever include advertising. Nor should they ever include links to in-app purchases or social media sharing buttons, unless these sit behind a parental gate. On that basis I’d argue that any apps that choose not to update to meet the App Store Kid’s Category criteria should remain outside of it – and suffer the discoverability consequences. A note to App Store Kids’ Category editors in case you drop by! Are you able to share more information on your plans for the Kids’ Category going forward? Would you consider including all qualifying apps within it, at the same time as moving your curated apps into an Editors’ Picks section? I have exchanged emails on this topic with one of your support team in the past couple of months, but haven’t been able to find out more, nor to elicit a response from your team direct. You can use the Contact button above or please leave a comment below. I very much look forward to hearing! I should add that the app is currently listed in iTunes under ‘What’s Hot’ under iPad > Books – however this ‘What’s Hot’ section doesn’t seem to appear on my iPad, which I think is where most parents would be browsing from. If I’m missing it please do tell me how to find it on my iPad! I’ll be at the London Book Fair this year along with several other members of the Alliance of Independent Authors. Do get in touch if any of you will be there! PS Apologies if you receive this twice – I posted it in the wrong place first time around. This entry was posted in Uncategorized and tagged App marketing, Apps, Kids Category, Kidsapps. Bookmark the permalink. Based on this experience, would you do it again? Hi Nicola – creating the app was probably only ever going to be a ‘once in a lifetime’ experience due to the production cost. But at the outset I said that was my indulgence and have no regrets *at all* – especially in the light of the fantastic feedback it has received and the regular (if low volume) downloads. In fact The Secret Lake started out at these levels on Kindle and has now sold over 3,000 copies in that format alone as well as over 2,200 in print – so it’s all very long tail…. Great article, as a reviewer I wasn’t aware that these issues with the Kids category were still happening. I just came across an app approved for the Kids category which I don’t consider “family friendly” due to the fact there were numerous -albeit protected – Facebook links within the main part of the app to bribe parents into sharing for content. This feels wrong. Secondly, a single app is difficult to gain and sustain momentum. You really should aim for a series where you can cross promote. I think Ferdinand is a good candidate for this. Lastly, it is incredibly rare – I can’t think of a single instance – where a single app has turned into blockbuster without a lot of time and effort being spent. Angry Birds was Rovio’s 40th app – yes, incredibly successful, but a lot of time, money, experience and disappointment paved the way for that app. I wish you and Ferdinand the best – and hope you can stay in the app world to play some more. Thank for the feedback (and encouragement! ), Lesley. Oh that I were an illustrator and a coder! I have five more Ferdinand Fox’ stories all written and ready to go… but production costs, as I’m sure you know, don’t come cheap! That said there is software under development aimed at helping authors produce bookapps without understanding code – and indeed Authorly is currently working on a version of Ferdinand for me to show me what they can do. So who knows! As someone who’s just getting into the book app world I feel I have to share something that might make you want to give it another go! I’m a designer with a working knowledge of coding but by no means a programmer. There is absolutely no way I would ever have the skill to build an app natively with code. Instead I found a way to build it on my own that produces code if I should choose to work with a programmer at a later day but does not require me to create any code myself. If you use Photoshop at all and are using at least version 5.5 you can purchase a plugin named Kwik. It is part of a yearly subscription but for $250/year I think its worth it. The company is Kwiksher.com and it is amazing what you are capable of doing with this plugin. I’m finishing up my first app and it has the option to publish for both iOS and Android as well as Nook and Kindle. While it’s not a free option it is more of a DIY which saves thousands of dollars a year in overhead costs. Hope you’ll take a look and it is helpful! If you do try this I’d be really interested to hear how it goes as I am thinking of using this myself. I must say that I’m wary of handing over any money to anyone to sell my app for me but I’ll take a more detailed look and report back one I understand more. It’s late here so that may be tomorrow! You don’t hand over any money upfront – just a portion of the profits as they sell, and you get to define how many copies of the app that applies to – like the first hundred or so, after that you revert to selling the app as normal. My thinking is, if you get backers who will promote your app you could get a sudden rush of sales that will mean your app makes it to the front page of iTunes – just an idea – might not happen. Ah – thanks for that clarification, Sue – when I looked quickly it was asking for credit card details and asking for a $100 credit line or similar. But I clearly need to go and read the small print. I will certainly do that – thanks for pointing it up and I’ll leave another note here once I’ve had a better look. Well done for venturing forth into unknown territory! I am not at all tech savvy and have tried out Photoshop with zero to show for it. I think apps and interactive books are the future for kids educational reading and it is scary that I know so little about it. Your post and the comments other readers have made have convinced me to invest some serious time in learning to use Photoshop. Hi Amanda – you don’t necessarily need to know Photoshop – albeit I’ve just been reading about a Photoshop plug-in that will help authors create apps without code. Check out my twitter feed and the #storyappchat thread… I used a coder and supplied the images and recordings (I did the latter myself and my illustrator supplied the drawings, of course). However as you will see from the thread there are progams available that require little or no coding experience – and these don’t usually require Photoshop either. All the best if you do have a go! Did you write your own app? How easy is that? Thanks for the detailed reply. I just have to think of an application now! Both my apps were approved for the 6-8 year section of the kids category and not once have they been featured in it. We need to find a way to make Apple sit up and take notice – maybe it is that they don’t care if we make $$ or not. They’re making tons just from annual fees of all the indie authors and developers so it doesn’t affect their bottom line whether we make a return on investment or not. Forming a unified front, creating a joint statement and bombarding them with e-mails might just be the next step.